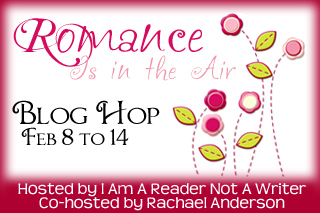 Welcome to this pretty blog hop! 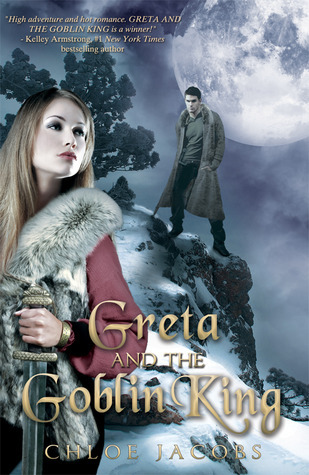 My giveaway is a digital copy of the recently released GREAT AND THE GOBLIN KING by the fantabulous Chloe Jacobs. This gem has been on my to-read list for months, so my winner and I just might be reading it at the same time! AND….since I feel like celebrating Monday’s release of SPEAKING OF LOVE (the second book in my Perfect Kisses blissful e-series), I’m also throwing in an digital copy of book one PLAYING AT LOVE. Hooray! Thanks for the giveaway! Romance is definitely in the air and I think a good example of a strong romantic novel is “Outlander” by Diana Gabaldon. Jamie and Claire are EPIC. J.R. Ward's world is awesome, but I'd probably freak out if I actually ended up there! That is a hard question to answer. Most I read are not the best lives to live in. Maybe I'd like to be in Beautiful Disaster. Love how loyal and protective Travis is. Thanks! It's not a romance per se, but romance plays a pretty major part in part 2 of this book. Crown Duel by Sherwood Smith. King of Attolia by Megan Whalen Turner. I love SP's books. Anna is my favorite! Oh! Now you're talking. Isn't Jamie the sexiest ever? Yummy. Me too. The end of that movie kills me. Ditto. I can't wait for her new book to come out. It looks dreamy! Thanks for all the entries, guys. It's been such a fun hop!! Winner will be announced soon!